Events or trade-shows construction site need to be measured precisely before any installations. 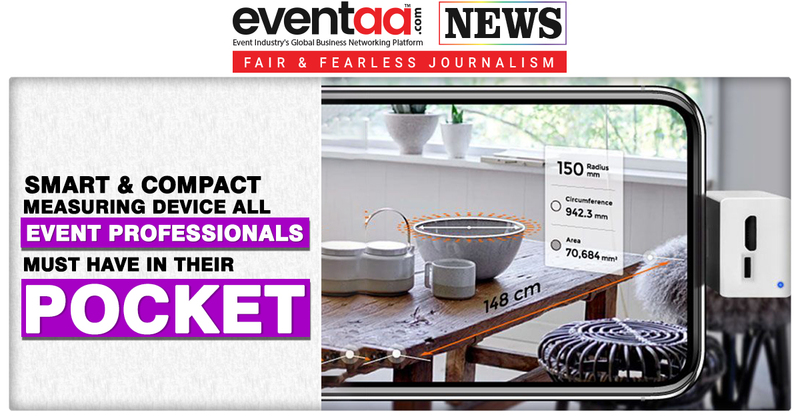 Usually, event planners were seen taking measures of various spaces, facades, booth space or difficult corners manually with a lot of struggle which always keeps a high margin of error but this will end soon. The “Arrim ONE” invention turns a standard smartphone into a laser-based, augmented reality measuring device. This small attachment to the smartphone, use phone’s camera to allow the user to choose the dimensions they want to measure. As the points are selected on a 3D map, the phase shift of the laser is combined with the smartphone’s computing power to measure an array of dimensions beyond simply straight. The price of Arim One is estimated around $80 and will start shipping in September 2018. The Arrim ONE is accurate to plus or minus 0.06 inches at a range of up to 66 feet. It gives detail of object thickness as well as circumference if it is round. You can also do segmentation of structure or measure any tall wall without any ladders. Seeing is believing, watch the video below to see it in action.